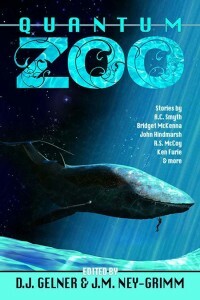 This entry was posted in Uncategorized and tagged Amazon, anthology, fiction, Quantum Zoo, Scott Dyson, short stories, short story collection on December 8, 2014 by Scott Dyson. I have always enjoyed Jonathan Kellerman’s series featuring psychologist/sleuth Alex Delaware and his buddy Milo Sturgis. There was a period where I felt that the series went a bit downhill, but the last four volumes in this series found the author upping his game a bit and delivering very satisfying stories. In this story the bones of a baby are found in someone’s back yard, and the police are called in. It turns out that the bones are pretty old and show no sign of trauma or evidence that the death was anything besides natural. But the incident gets on the news, and pretty soon another set of baby’s bones are found in a park not too far from this house, followed by the body of a young woman. Alex Delaware is not one to give up, and that seems to be a theme of this book – an exploration of Alex’s determination, which borders (or may cross into) obsessive/compulsive behavior. He investigates both cases with his usual dogged determination, while Milo carries on in a by-the-book manner on his police investigation. The book is about the evidence unfolding as one lead points to another lead, and Alex and Milo follow up on each lead undeterred by interference from higher-ups, lawyers and high-powered show biz types. The exposition of the crime is done in a highly satisfactory manner (for me) and the solution is dramatic. As is the solution to the first mystery, that of the baby’s body buried under an old tree, which comes almost as an afterthought, with only Alex finding out the truth of this one. But you knew it was coming, that Kellerman would not leave us hanging on that one, and the low key manner in which it is presented is again very satisfactory to me. There was a period where I felt that Kellerman had been surpassed by Stephen White as far as the freshness of his stories in this particular subgenre (psychologist sleuth with a cop buddy), even though I always felt White was imitating Kellerman as much as possible. White’s Alan Gregory stories were more compelling at that time, but I think Kellerman has come back and taken the lead again in this genre, and I really enjoy his first-person spartan style when writing from Delaware’s perspective. Also in Guilt, I felt that I learned something about Alex as a character that I didn’t know before. Though I knew something about his history as a child, I had never put it together with why he has always been so determined and focused on the cases he works with Milo. This book gave an explanation of sorts for that, and this far into a series, I find that to be a real positive as far as storytelling goes. I mean, we’ve all known Alex for many many years, and I figured that I knew pretty much all there was to know about him. Maybe that’s why these last several books have seemed fresher – because Kellerman is exploring depths of Alex’s character that most writers would be ignoring at this stage of the series. Overall, I give this one a five star review. 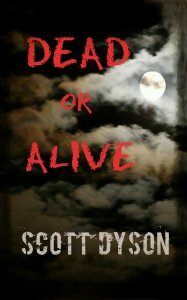 This entry was posted in Uncategorized and tagged book review, Jonathan Kellerman, novels on December 3, 2014 by Scott Dyson.